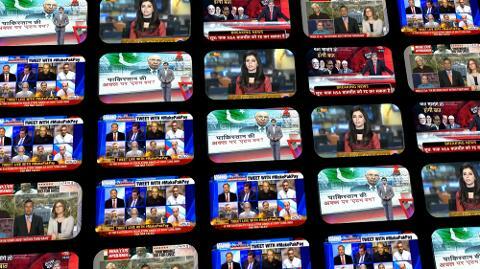 #CyrilGate: Has ISI Changed Its Tune on Fake News? Nation’s top military leadership (in other words, the nation’s leadership) met to discuss the latest threat to national security: This news report in English daily DAWN. 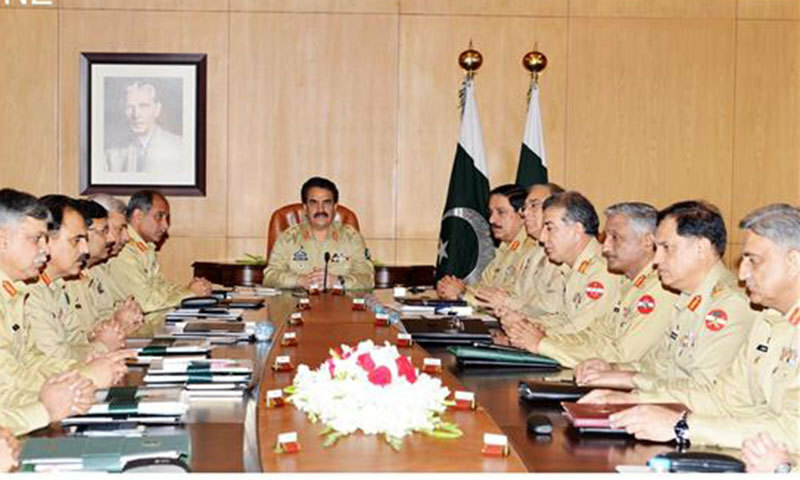 At the meeting, Army leaders ‘expressed their serious concern over feeding of false and fabricated story’ to the media. The confused and contradictory nature of officials’ response to the story has given it some credibility, and it must be noted that DAWN has defended the report saying it was only published ‘after verification from multiple sources’. However I am not writing to defend or deny the report’s authenticity. Rather, I am writing to ask whether there has been some change within the establishment’s position on fake news stories? Disinformation and propaganda has been a tool of the establishment for decades or longer. 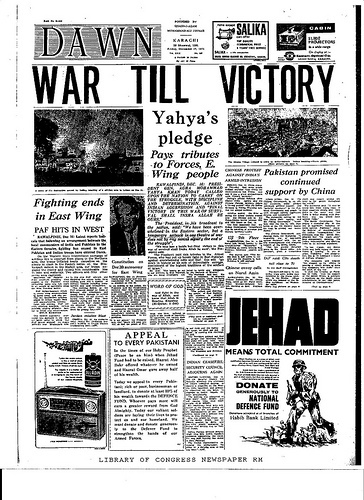 DAWN itself has been a willing participant in such activities as can be seen on the archived pages from 1971 war. One does not need to go back that far to find evidences of fake news stories, though. 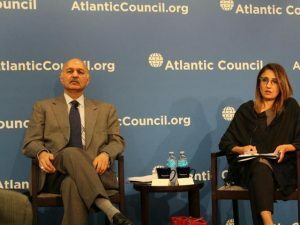 It was only a few years ago that Pakistan found itself facing international embarrassment after it was discovered that our media were reporting on a fake wikileaks cable in order to embarrass India. 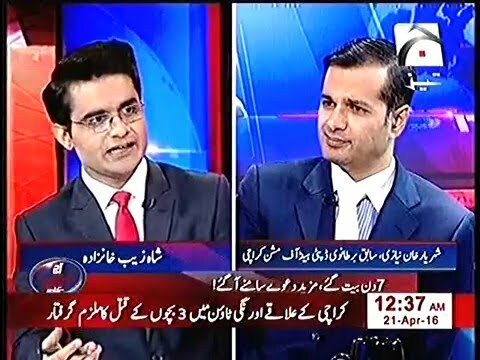 At that time, Ahmed Quraishi actually responded by defending the feeding of false and fabricated news stories. Today, without even a drop of shame, he is hosting a TV programme demanding an official commission to investigate the same. It remains to be seen whether the top brass have the good sense to cut their losses, but one has to wonder whether ISI’s M-Wing, which is headed by a Rear Admiral and staffed by several Brigadiers and other officers, sees the irony in having the Army Chief himself serious concern over feeding of false and fabricated stories. If the state was looking for global attention, it finally found it – but not for the reasons it had hoped. 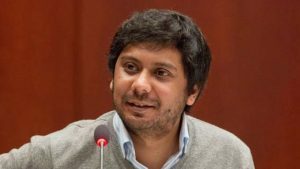 In a shocking mis-step, government officials informed Dawn columnist Cyril Almeida that his name had been placed on the Exit Control List as if he were a wanted criminal. His crime? Reporting that the civilians had finally shown some backbone and demanded the military do its job and go after militants without fear or favour. Officials denied the story, but as usual they couldn’t let it go. The report has now been officially denied not once…not twice…but THREE times, assuring anyone with half a brain that there was something very true about it. If there was still any doubt, the Pindibot Corps has been carrying out social media surgical strikes that confirmed the reports authenticity. Before you #StandWithCyril, do calculate Govt’s reasons for placing him on the ECL including potential sabotage of classified information. The irony in this case is that if Cyril’s report is really so damaging, once again it is the response of government officials and their hyper-patriot lackeys that has turned a minor footnote into a global embarrassment. Unlike Aabpara’s PM’s diplomatic envoys who failed to get any attention during their trip to Washington, their attempts to threaten and intimidate a respected journalist got more attention than they wanted. 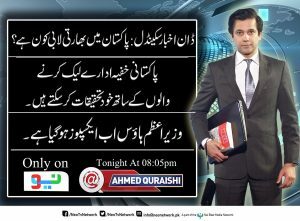 Where Ambassador Maleeha Lodhi and Senator Mushahid Hussain have failed to get any attention from the international media, the state’s assault on Cyril Almeida’s rights has earned more coverage than they could have imagined. At a time when the state claims to be attempting to improve Pakistan’s image in the world, what could have possibly been a stupider move than to attack another well respected journalist. Government denied the story, but couldn’t let it go. If the past weeks have clearly shown anything, it’s that western conspiracies and foreign agents are completely unnecessary to damage Pakistan. The sheer incompetence of our own civil-military leadership is more than enough.